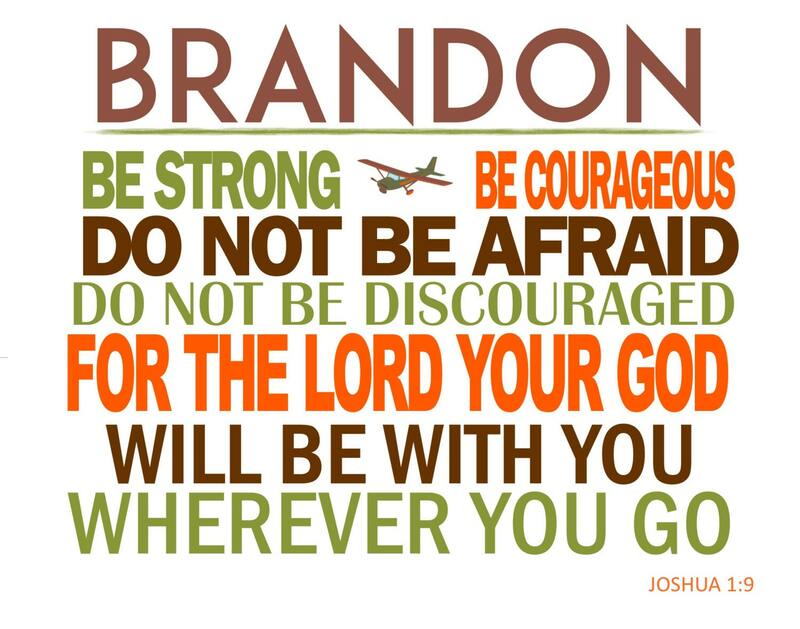 Joshua 1:9 - Bible Verse Print - Personalized with name and icon. Any size and Colors. 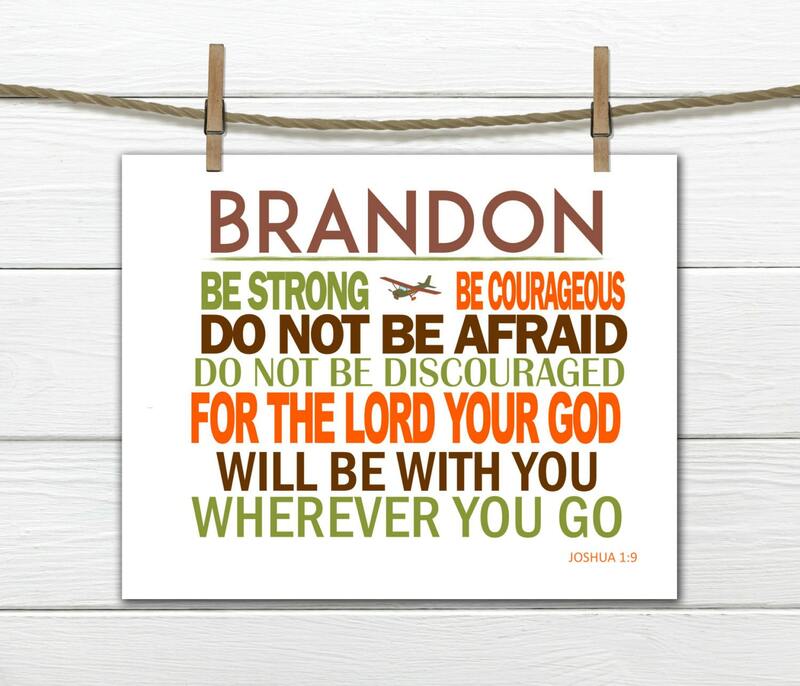 Joshua 1:9 - Bible Verse Print - Personalized with name and icon. The plane can be replaced with anything you would like - baseball, football, star etc. 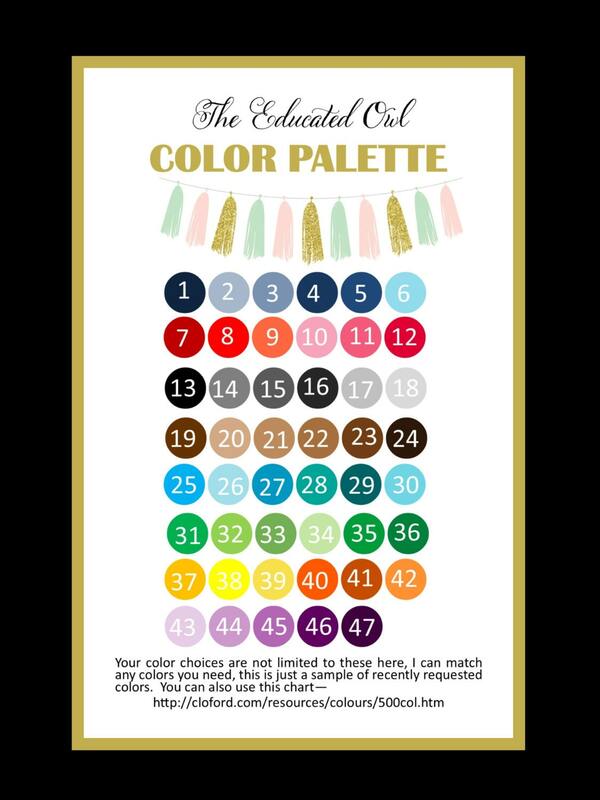 Available in the colors shown or customize the colors to match your decor.